The Mean Well power supply is a switch-mode triple output enclosed power unit. Total output power is 65Watts. Dimensions are 129mm x 98mm x 38mm. 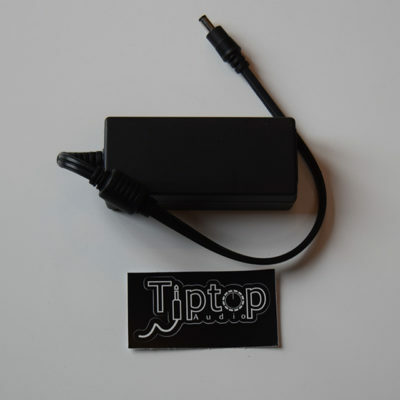 Whilst most of the components of the power supply are enclosed the electrical connection terminal block is exposed and therefore it is essential in a eurorack case that these terminals are guarded and the installer should source suitable guard, as this is not included. See notes below regarding installation. 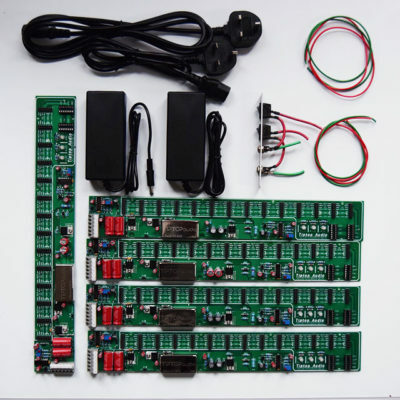 The Doepfer A-100 Bus Board connects up to 14 Eurorack modules via 16-pin headers. The red LEDs on the board indicate whether the correct voltage is available for the module showing the +12v, -12v and +5V. 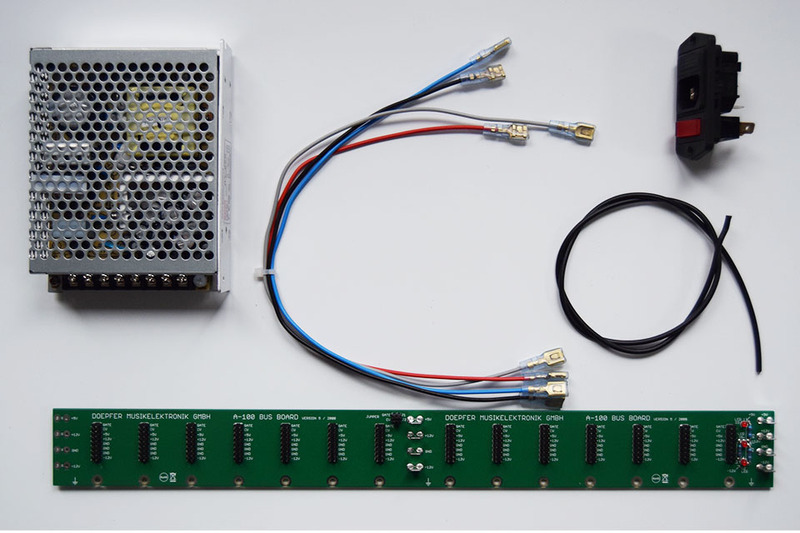 The A-100 Bus Board includes four cables for connection to the Mean Well 12v DC power supply. The cable lengths are approx 300mm in length (30cm) with flat connectors at each end. The connectors fit the bus board, the connectors the other end should be snipped off and stripped back to suit the screw terminal connection of the Mean Well unit. 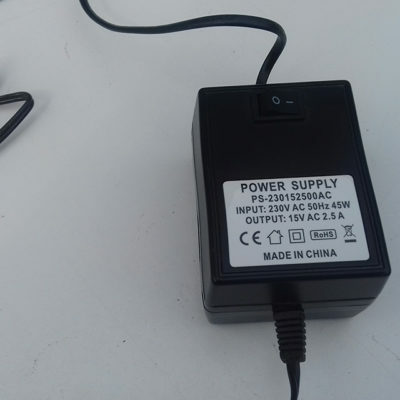 Please be aware that the power supply carries mains voltage (115 or 230v AC) and connections/installation should be carried out by a competent qualified person.